Kismet Rubber Products has earned the reputation for manufacturing high quality custom extrusions for appliance applications. 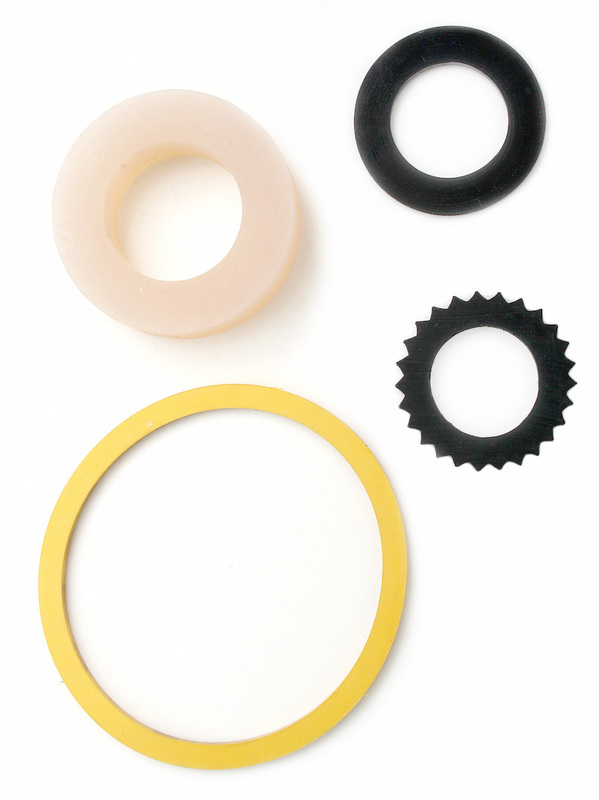 Our products are used to provide seals and gaskets for refrigerator and freezer doors, formed hose for washing machine assemblies, and gaskets for dryer doors. Our staff, with over 150 years of combined experience, will work with you to review your design and select the best material and manufacturing process for your application. Kismet is uniquely qualified to manufacture a custom extruded product for your appliance part. Our staff is available to help with the selection of the best material for your part. We offer standard compounds of EPDM, chloroprene, or Neoprene®1, FKM, silicone, Thermoplastic Rubber (TPE), and Flexible PVC. We can provide custom formulations if needed for your application or to meet industry or regulatory standards. Kismet's 100,000 sq. ft. facility is fully equipped with the latest equipment and technology, providing us with the capability to manufacture precision parts in quantities from short run to full production runs. We have eight extrusion lines, continuous cure microwave, salt cure, steam cure, and HAV systems, plastic extrusion equipment, precision cutting and splicing machines, and value-added finishing services. In addition, we offer inhouse tool, die, and mold design and manufacturing to ensure that your parts are manufactured to the most exacting requirements.